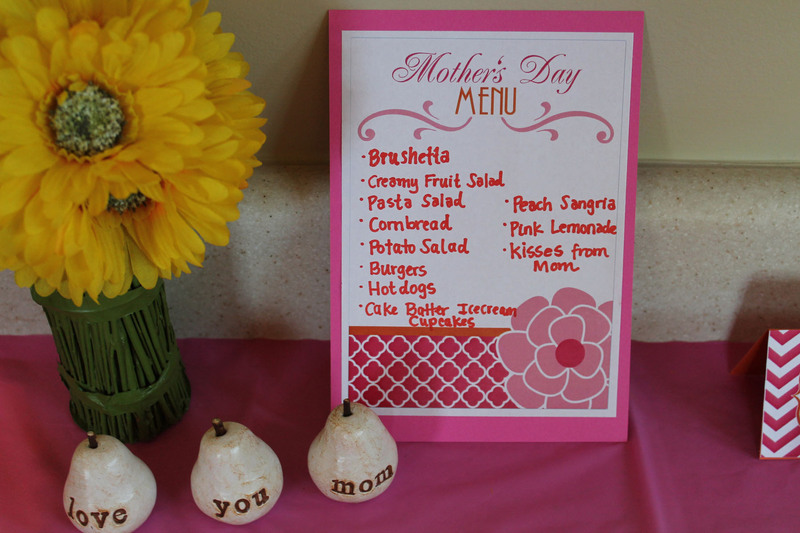 I had a Pinterest inspired Mother’s Day this year. I spent the morning with my husband and kids. My parents, sister, and neighbors came over in the afternoon for a BBQ. 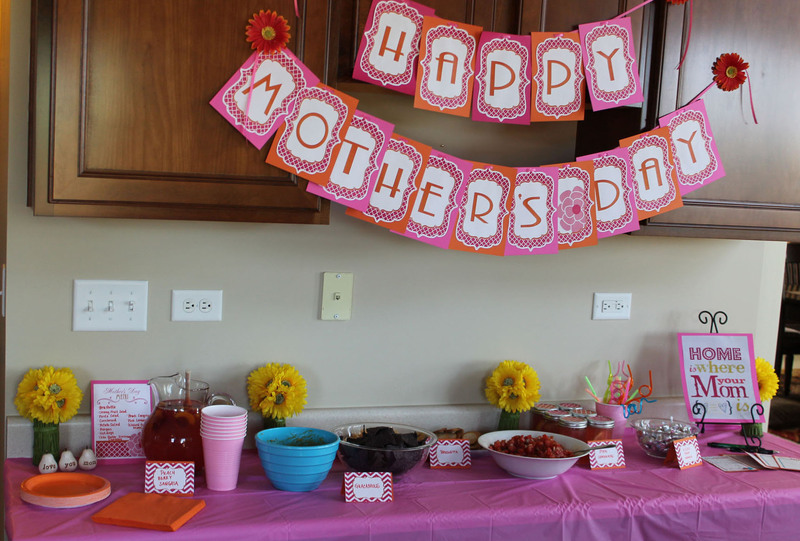 I used a free printable from Amanda’s Parties TO GO to decorate for the occasion. 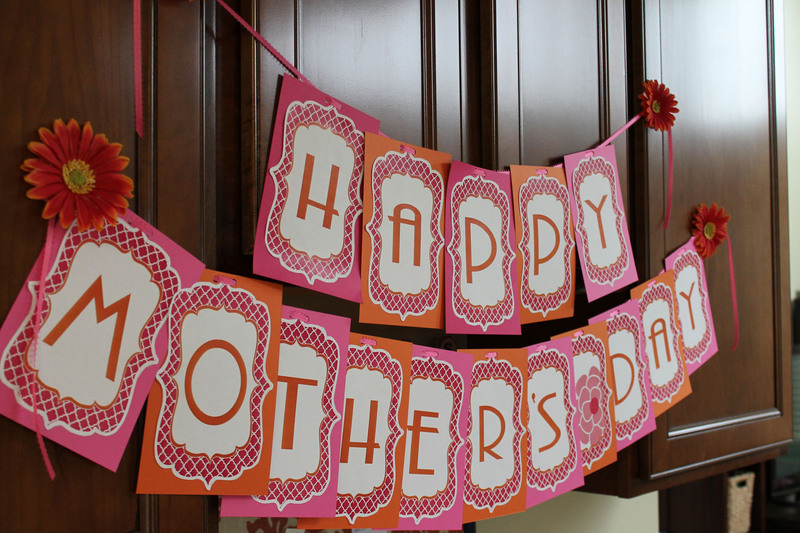 If you click on the link, you will find an amazing free printable with all kinds of goodies you can use to decorate next Mother’s Day. 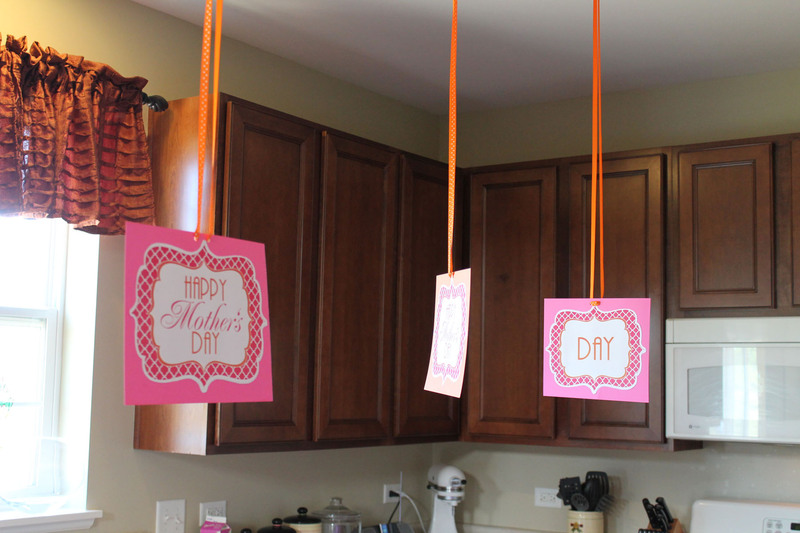 I was really in luck because I was searching for pink and orange decorations and this printable was perfect! 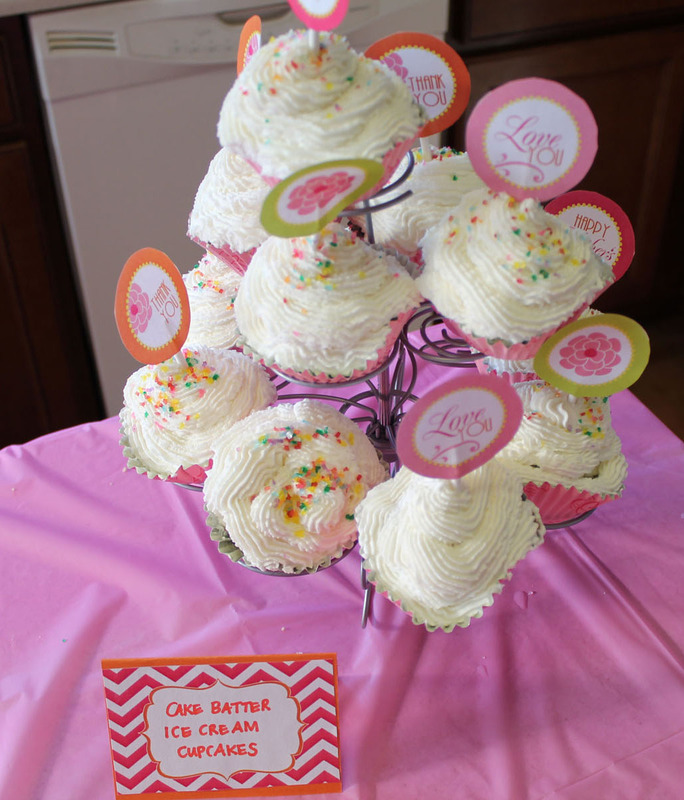 Here are some pictures of the awesome stuff I was able to create with the free printable! 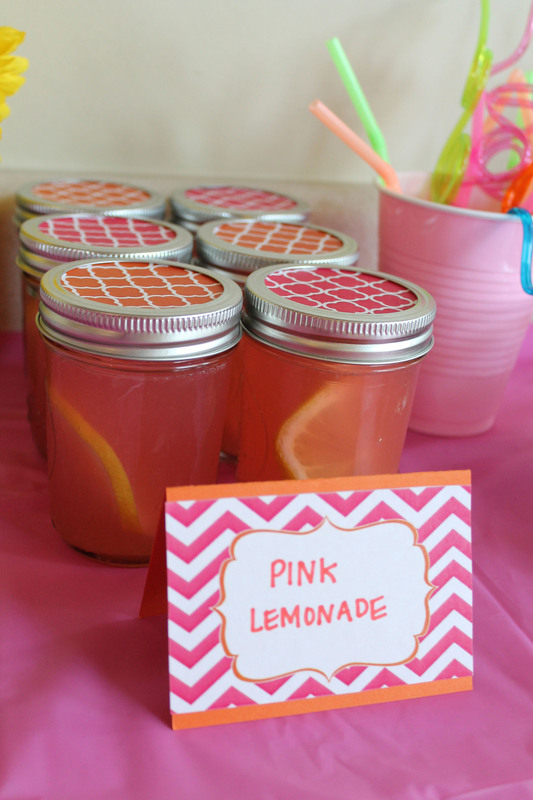 Cut circles to top the mason jars! I was proud of myself for pulling this off. 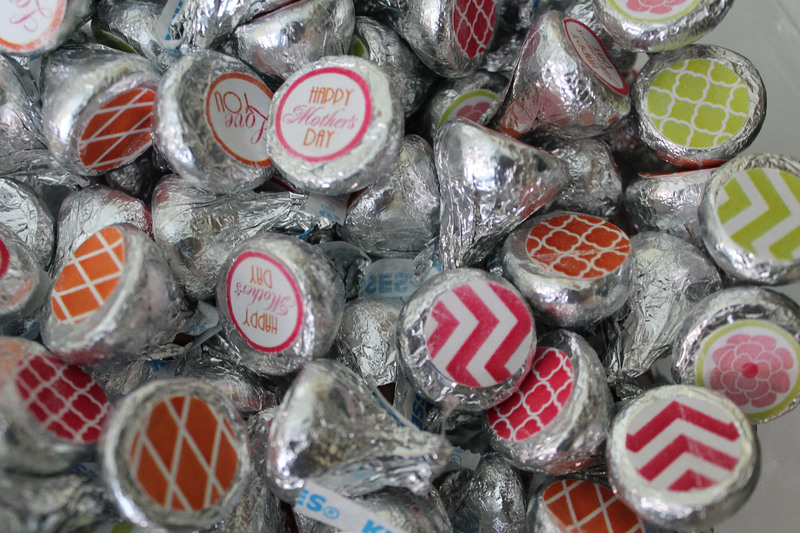 I can’t wait for Father’s Day to see what I can create! 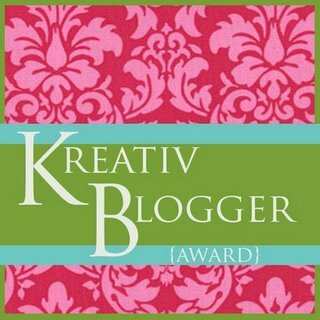 I’m super excited to have been nominated for the Kreativ Blogger Award! As a newbie blogger, I’ve just come to realize that there are awards in the blogging world. I feel like I learn something new every day, but I have a long long long way to go. Thanks so much to Karie at http://ipinterest.me for nominating me for this award! 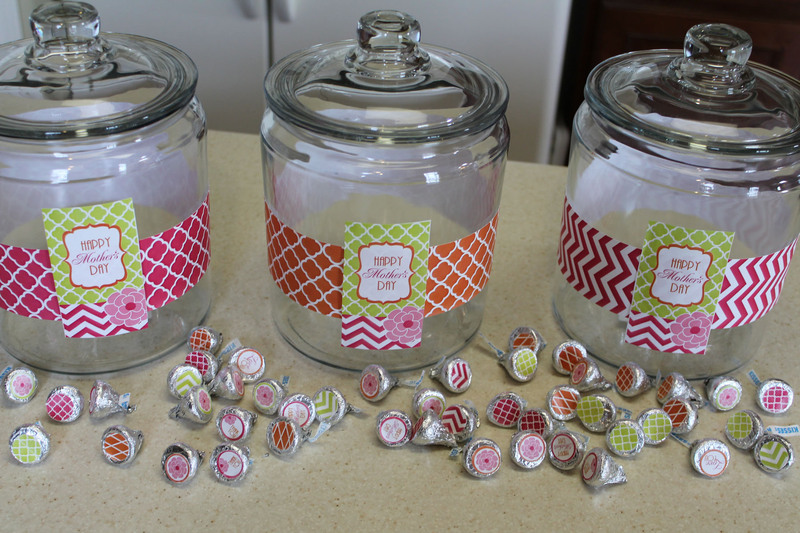 Like myself, Karie posts projects inspired by Pinterest. She takes her blog a step further; however, and posts daily! 1.) I have two amazing daughters (Sophie is 4 and Molly is 1). And, of course, my husband J.R. is amazing, too! 2.) Sophie (my 4 year old) was born on September 27th at 11:51pm. My birthday is September 28th, so we almost had the same birthday! 3.) I used to be a Financial Analyst and I have a Master’s Degree in Accounting. 4.) I work from home doing the bookkeeping for my husband’s business. This is where my accounting degree comes in handy! 5.) I love organizing, but I spend way too much time making checklists! 6.) I was obsessed with the TV show Dawson’s Creek. I ended up recording every single episode EVER. I collected over 40 VHS tapes of Dawson’s Creek, but never watched them again. My husband convinced me to part with them last year! 7.) I love to bake, but hate to clean up the mess. 1.) http://singlestitchknit.wordpress.com/– My sister’s knitting blog. She just made me a few scarfs that I absolutely love. 2.) http://cynthialynnephotography.com/wordpress/ – My other sister’s photography blog. She is just starting up a photography business in Orlando/Winter Park area. 3.) http://366daysofpinterest.com/ – A Pinterest blog similar to Karie’s. She posts Pinterest inspired projects daily. 4.) http://www.littlehandsbigwork.com/ – A great site for preschool age activities! 5.) http://www.sweetsugarbelle.com/ – A great cookie decorating blog. I have used her recipes, watched her tutorials, and noted her tips and techniques! 6.) http://whatifoundwhilewalkingaround.com/ – I’ve always struggled to eat right and keep on exercising. This blogger’s “Daily Dose” keeps me motivated! 7.) 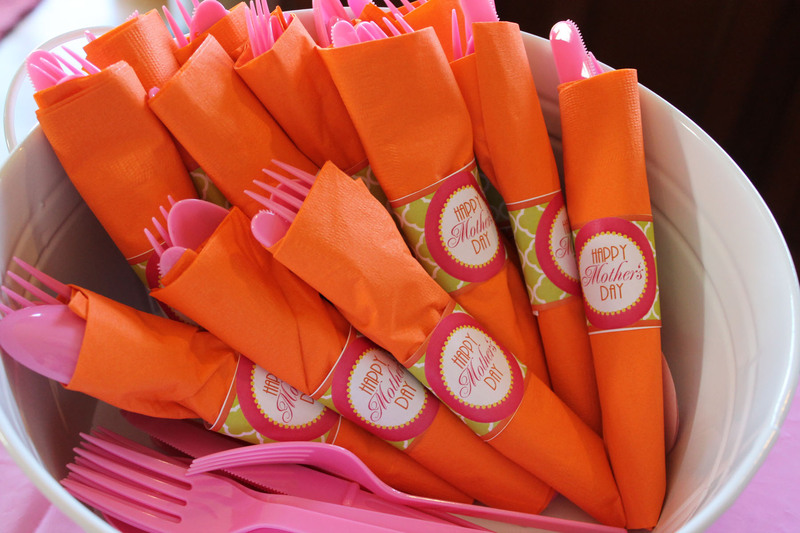 http://www.hwtm.com/ – A party planning blog. I loved the “apple of our eye” party. I may do this for Molly’s 2nd birthday! Great work! I really enjoy reading all of your blogs!